For today's Fantasy Chat, we have the talented T.F. Walsh here talking about world building. 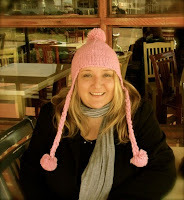 Hi Cherie, thanks for having me on your blog. Today I want to chat about world building. What I love about writing fantasy is the ability to create things out of nothing. The trick is to make it appear believable by borrowing items from history and even today’s world. In Cloaked in Fur, the story is set in Brasov, Romania in the Carpathian Mountains. It’s a real place. It exists. My friend actually grew up in Brasov. But where the reality ends and fantasy begins is with the introduction of werewolves in this setting. And why not? It’s a place seeped in folklore, and many tales associated with Dracula come from this location. The backdrop is perfect. And to take the world building further, I created three types of werewolves with a bloodline that links back to the royal kings from the Kingdom of Hungary in the 1300s. My plan was to differentiate each werewolf kind with names that weren’t too complicated, but almost self-explanatory. So, a moonwulf is a half wolf, half human. The moon still controls them once a month. Outside the full moon, they can’t transform. Now, for those creatures who have complete control over their transformations, I’ve named them wulfkin. And lastly, the monstrous, bloodthirsty werewolves who have zero ability to hold back their appetite are called dracwulf. Of course with any wolf pack, rules and hierarchy plays a huge part. And the rules I introduced are crucial to the story and Daciana’s undoing. Plus, they set things in motion for book 2, which I’m very excited about. The fun part about world building in fantasy worlds is that anything new introduced will have a ripple effect on everything else. And that’s where it gets fun, allowing you to take the story in so many directions. What do you love about world building in a story? The next installment of Writers4Writers is Monday, August 19th and will feature Carrie Butler and C. Lee McKenzie. Check their sites for Tweets and FB posts to add to your feeds. Just copy and paste and you’re done. A ripple effect on everything else - we always have to keep that n mind. I like the three tribes of werewolves. I bet they really clash! T.F. I like how you described the ripple effect when adding new elements. Good post. Cherie- thank you for hosting. I think world building is one of the funnest parts of writing--discovering the rules that govern our characters. Even in real world setting, there's so much to draw from. It's so interesting how even fantastical settings are often inspired in some way by real life places. It does sound like T.F. picked a perfect setting for her story. Loved hearing how she created her world building. Congrats on her new book. Love the premise, had to have a copy! 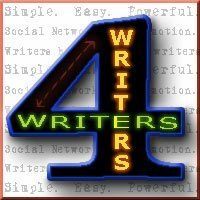 Your world building technique is so intriguing! Good luck with your book T. F.! Great guest post! I love world building, especially adding in the little details. Everything seems normal, but then there's one unusual thing and it makes a huge difference on how everything plays out. Thanks for the W4WS shout-out, Cherie! Very neat linking in with the history of the area! Love the three tribal names, and the story concept. Sound like an interesting one. The three tribal names are very appealing. I'll keep in mind your world building tips. I think Brasov is a very inspiring place for this kind of stories. I'm so impressed with all of your authors who are so skilled at world building. I've never tried it but find it very intimidating! 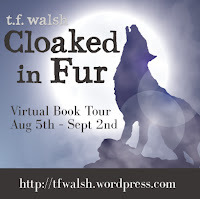 It's been great to see Cloaked In Fur all over the blogosphere and I get more interested in it with each post I read. Congrats, Tania! 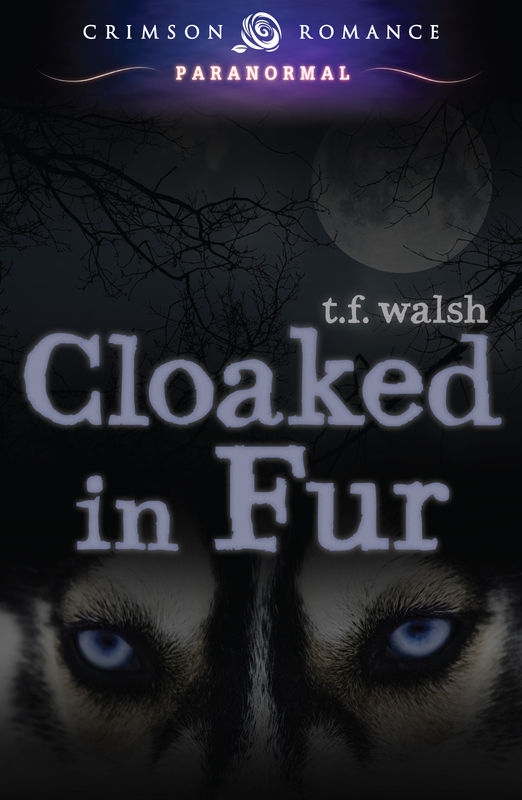 Cloaked in Fur sounds really cool! I agree that once one world-building layer is set in motion that it has a ripple affect throughout the story - love how you worded that part too! That's some great world building by the sounds of these werewolves, their lineage, and what they can do. World building can be fun. I love the idea of having three different werewolf species.